Carina Roberts’s star is on the rise. In her fourth year as a dancer at West Australian Ballet, the 23 year old has already chalked up several lead and solo roles. Now she’s taking on her first Romantic ballet, dancing the title role in La Sylphide. She took a quick break between rehearsals to chat to Nina Levy. Carina Roberts. Photo: Frances Andrijich. Looking at Carina Roberts’s family, it appears that ballet is in her blood. 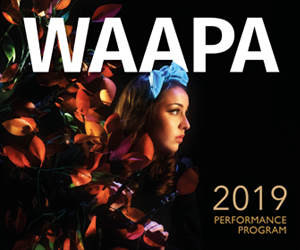 Both her mother and her father danced with West Australian Ballet (WAB), and her sister, who recently graduated from the Western Australian Academy of Performing Arts (WAAPA), is also a dancer. Even her twin brother, a lawyer, dabbled in dance as a child. So was it a foregone conclusion that the Perth born-and-bred dancer would follow in her parents footsteps? “Absolutely not,” she says with a laugh. “I don’t think I considered ballet as a career until I was in year 11, which is relatively late for a ballet dancer.” A student of Gail Meade Performing Arts Centre, she says she loved ballet but also enjoyed learning other dance styles like jazz and tap. “Mum and Dad very much encouraged school and I enjoyed school, and I wasn’t bad at it,” she continues. “I always imagined going to university and living a ‘normal’ life. In the highly competitive world of classical ballet, it is relatively rare for an artistic director to approach a young dancer with a job offer and Roberts was grateful, she says, not just to be offered a job but to be spared the stress of the audition process. In the highly competitive world of classical ballet, it is relatively rare for an artistic director to approach a young dancer with a job offer and Roberts was grateful, she says, not just to be offered a job but to be spared the stress of the audition process. “My strength is in performance. It would have been interesting to see if the same thing would have happened if I had done an audition class,” she reflects. Carina Roberts as Clara in ‘The Nutcracker’. Photo: Sergey Pevnev. Now Roberts is taking on the title role of the Sylph in WAB’s production of August Bournonville’s La Sylphide, staged by Danish Bournonville specialist, Dinna Bjørn. As is standard for WAB, there are three casts for this ballet and she shares the role with Chihiro Nomura and Claire Voss. 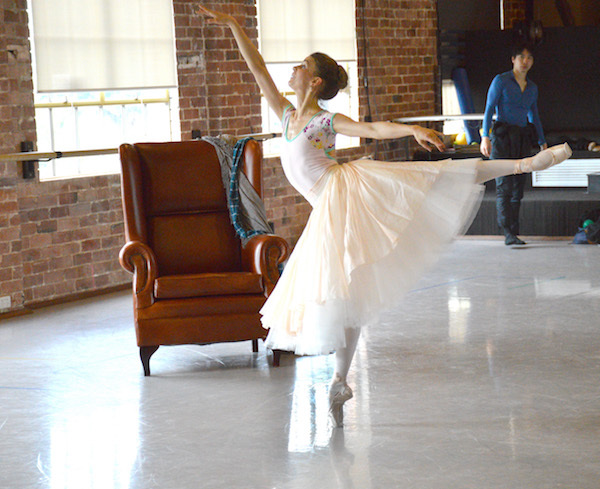 Carina Roberts in rehearsals for ‘La Sylphide’. Photo: Scott Dennis. One of the world’s oldest surviving ballets, La Sylphide has all the hallmarks of a Romantic ballet; the long white tutus, the magical creatures, the forest glade. Created in the early to mid nineteenth century, the escapist, fantasy narratives of the Romantic ballets were a reaction to the increasingly urbanised world of the Industrial Revolution. Often I get very dramatic with my arms – I like to express a lot. But for La Sylphide the arms have to be quite contained, gentle and soft. In comparison to the ballets of Petipa, which came later (think Swan Lake, The Sleeping Beauty), it’s softness that is one of the defining characteristics of the Romantic ballet, says Roberts. “Petipa ballets are quite upright and big, with grand steps that you can put lots of energy into. For Romantic ballets you’ve still got to have really strong lower legs, especially because we’ve got on long tutus and all you can see is our lower legs, but the upper body has to be very soft, and very emotive and expressive. La Sylphide plays His Majesty’s Theatre 18 May – 2 June. Top: Carina Roberts as Clara, with Gakuro Matsui, in West Australian Ballet’s 2016 production of ‘The Nutcracker’. Photo: Sergey Pevnev.